New Delhi: The four Supreme Court Judges, who publicly took on the Chief Justice of India (CJI), Dipak Misra, have been kept out of a Constitution Bench that will decide on many important cases, despite the country’s top lawyer claiming that the unprecedented rift between Judges had been “settled” during an informal meeting on Monday morning. “I accept that the Judges conflict is not settled,” Attorney General K.K. Venugopal said today in a 180-degree turn from what he asserted earlier. 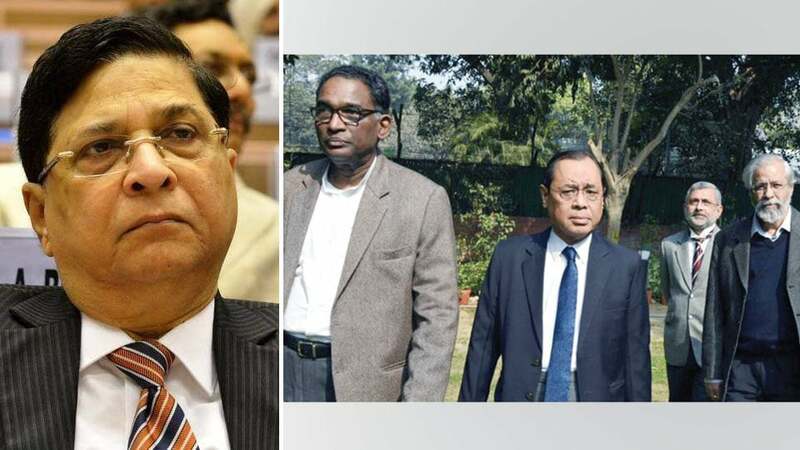 Justices Jasti Chelameswar, Ranjan Gogoi, M.B. Lokur and Kurian Joseph, who held an extraordinary press conference last week to voice their criticism of how major cases were assigned by the Chief Justice, are not in the Five-Judge Constitution Bench announced yesterday. The four Judges are the senior-most in the country after the Chief Justice. The Constitution Bench has, besides the Chief Justice, Justices A.K. Sikri, A.M. Khanwilkar, D.Y. Chandrachud and Ashok Bhushan. According to a roster put up yesterday (Jan.15), from Jan. 17, these Judges will decide on cases like the Constitutional validity of Aadhaar, whether to remove a ban on homosexuality, the restriction on women entering the Sabarimala temple and whether lawmakers should be disqualified even before conviction, the moment charges are framed against them. The same combination of Judges had last year taken up the turf war between the Centre and Delhi’s Aam Aadmi Party (AAP) government.